TOMMY SHEPHERD is a professional actor, playwright, b-boy, rapper, drummer, and beatboxer. 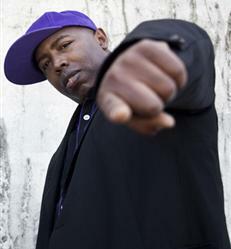 He is known and respected equally for his work as a songwriter and performer with children (Alphabet Rockers children’s hip hop music) as well as a performer and composer with professional theater and music stages (Campo Santo, Intersection for the Arts, Marc Bamuthi Joseph, Antique Naked Soul). Tommy (aka Emcee Soulati) is a co-founder of the live hip hop collective Felonious (feloniouslive.com), who perform throughout the world and also and create original, theatrical productions.